seaborn, numpy, pip, and much more. 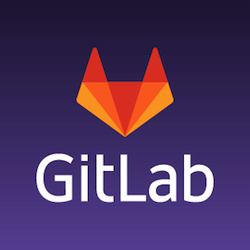 GitLab CI has been fully integrated with GitLab itself and is enabled by default on new projects, so you can start using CI/CD pipelines to build, test, deploy, and monitor your code right away. The latest release for the Seaborn visualization library is out! Check out the link for all the details! NumPy 1.15.0 has been released! A new version of numpy is out, see what people are saying and get the update! Attending EuroPython 2018? Here are some tips to get to know other attendees while you are there! Jupyter Notebook Kernel for running Ansible Tasks and Playbooks. Strokes is a project meant to help you learn Chinese characters. Layer Linter checks that your project follows a layered architecture that you define. A flexible framework of neural networks for deep learning. Intel® Nervanaâ„¢ reference deep learning framework committed to best performance on all hardware. A good guide with some practical tips to speed up your pandas project. Upload files to google drive with Python, pretty useful! Clearing up some common misconceptions about Pickle.